Your kitchen sink suddenly clogs up; your washer spews drain water, flooding the room. Or — worst of all — your main sewer line backs up, creating a mess that looks as disgusting as it smells. And to add to the problem — it’s a holiday weekend. At night. Where are you going to find emergency plumber services? What should you do? Call Flinn’s Rooter Service for emergency plumber services — That’s what you should do. We know how awful a plumbing problem can be. Your business has to send away customers. Your home becomes unpleasant and inconvenient until it’s fixed. That’s why we come right away with state-of-the-art equipment and service people who really know what they’re doing. We get you back to your normal life right away. We’re fast, we’re reliable, and we’re on your side. Turn off electrical components and appliances. If you’ve had any flooding, your electrical connections may be damaged or even dangerous. We’ll check for safety as soon as we arrive. Turn off the water. We can talk you through finding an individual shut-off fixture or help you turn off the main water main to the entire house. Turn off your water heater. If your need for emergency plumber services is caused by a heating device, turn it off so no one gets burned with hot water. Minimize leak damage. Place a bucket under any leaking pipes to keep damage from spreading. We’ll take it from there as soon as we arrive. 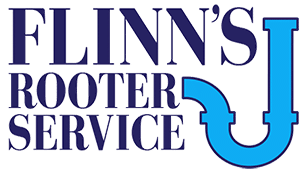 Flinn’s Rooter Service is able to alleviate all your clogged drain issues, scope drains, and repair pipes without digging up the entire line. We are a full-service plumbing company, so if you’re looking for a Midlothian plumber, you’ve come to the right place. So call us regardless of your emergency plumbing issue. Why Call For Emergency Plumbing Services? Whether you live in a house, condo, apartment, or townhouse, call us to work on your residential drains. Local businesses rely on Flinn’s for fast and affordable emergency rooter plumbing services to keep their multiple drains, sinks, and toilets clog free. Leaking pipes? Clogged drains? Backed-up sewer? Broken water heater? No worries. At Flinn’s Rooter Service, we’re here to help. Call us right away to get the emergency plumber services you need.